Professional consumer slope protection mould, hexagonal slope protection mould, plastic slope protection mould, covering mould, slope protection mould box, cement slope protection mould, slope protection plastic mould, high-speed slope protection mould, concrete slope protection mould, prefabricated slope protection mould, hollow hexagonal slope protection mould, solid slope protection mould, slope protection brick plastic mould, slope protection mould A series of slope protection products such as plastic mould box. In the consumption of hollow hexagonal inclined dies, solid hexagonal inclined dies, inclined brick dies, color brick dies, cover dies, has rich experience, our company is accustomed to thousands of different specifications of plastic inclined dies, we first in the consumption of inclined brick dies to ensure that all made of PP raw materials. The surface of slope protection brick consumed by hexagonal slope protection mould of our company has been lubricated. There are no pores outside. The error of consumption of slope protective bricks is very small. 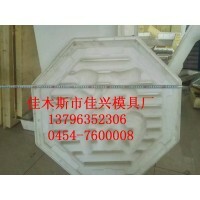 Our factory specializes in slope protection moulds. 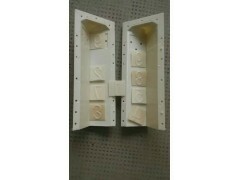 The consumption and sale of slope protective brick moulds have long provided moulds for the consumption of municipal building materials, a wide range of wall materials customers, and possible consumption reports to assist in the establishment of factories, training consumers and other services.